On 15th July 2014, the Bishop of Durham, the Rt Revd Paul Butler, co-sponsored two amendments to the Government’s Serious Crime Bill, during its Committee Stage. The first amendment sought to make three small changes to legislation making child neglect a criminal offense – raising the age of those covered by the provisions to 18, and made clarifications to the ways in which neglect would be classed as a criminal offense. The second amendment sought to create a duty to report abuse in institutions and activities where there are children and vulnerable adults. Both amendments were withdrawn after they had been debated, pending assurances from the Government. I, too, am grateful to the Children’s Society for its briefing, and I shall offer a story that it gives of Jessica. Jessica was known to social services because of the neglect and abuse she experienced in her family. When she was 16 the relationship between her and her family deteriorated and she was forced to move out of her family home. In the next year and a half she experienced unsuccessful placements in a hostel and bed and breakfast accommodation. Experiences of neglect at home made it difficult for her to form meaningful relationships. During that time, starting with her first unsuccessful placement in a hostel, Jessica became a victim of sexual exploitation, started using drugs and developed mental health problems. Stories such Jessica’s mean that we need to ensure that this measure applies to all children under 18. This definition is the one enshrined in the United Nations Convention on the Rights of the Child. It is in the Children Act 1989, which governs what safeguarding responses children should receive if there are concerns about their well-being. The PACE codes of conduct for the police were amended last year so that all under-18s are treated as children. From a safeguarding point of view, children should be viewed as being under 18. Sixteen and 17 year-olds can be very vulnerable. The statistics mentioned by the noble Lord, Lord Ponsonby, showed that. Yet they do not always get access to the services that younger children can receive. Professionals often see 16 and 17 year-old children as more resilient than younger children. They are often seen as more able to avoid abuse, or more grown-up and therefore more able to cope. It does not help that the criminal law aiming to deal with the perpetrators of child neglect does not cover 16 and 17 year-olds. This sends all the wrong signals that they are not as vulnerable as younger children. 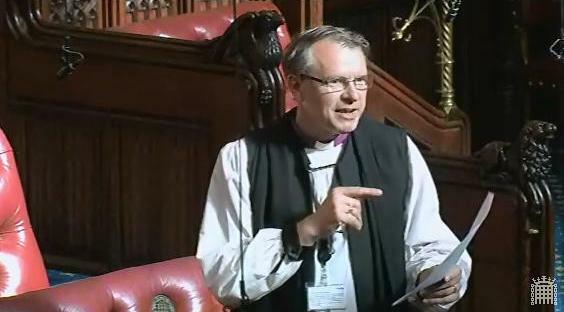 The Lord Bishop of Durham: My Lords, I support the amendment. I begin by pointing out that, had I been in this House two years ago, I would not have supported it. It is my experience of listening to and hearing stories, not just from within the church sector but from many sectors, that has led me to be convinced that this is a move we need to make. Many countries already have some form of mandatory reporting. Indeed, in Northern Ireland it is an offence not to report an arrestable crime to the police which, of course, includes crimes against children or vulnerable adults. There has already been mention of Australia, the United States and the vast majority of jurisdictions in Canada. Of course, in introducing this we would need to look at which of those systems works most effectively, because they operate differently. Mandatory reporting acknowledges the seriousness and often the hidden nature of abuse, and can enable the early detection of cases which may not otherwise come to the attention of the authorities. It reinforces the moral responsibility of individuals to report suspected and known abuse, concerns and/or allegations. Such laws help to create a culture which puts the most vulnerable first, where their welfare is paramount and serves to illustrate that abuse will not be tolerated in any circumstances.